Hi everyone, firstly, congratulations to our athletes winning in the European competitions, namely Tim Robertson – Gold at WUOC Sprint in Finland, Marquita Gelderman multiple Gold medals at WMMTBO in Hungary and to Gillian Ingham, Gold in the WMOC W60 Sprint in Hungary. Best wishes for the team at WOC in Latvia at the beginning of August. Closer to home, the Schools team travelling to Australia at the end of September numbers 20, as it now includes 4 travelling reserves. We also have a Regional Invitation team of 17 juniors going to Australia. This makes for a huge group of juniors going to Australia this year, indicative of the strength and depth of junior orienteering in New Zealand at the moment. Keeping these juniors involved in orienteering beyond school is important for the future of the sport and for the future of the clubs that support the schools in getting their students involved. I’ve had discussions with a couple of clubs this month about hosting major events. As you will know from previous Compass Points, ONZ is now asking clubs to volunteer to host key events like Nationals, Queens Birthday, National Schools, etc rather than clubs being allocated these events on a rotational basis. ONZ Events Officer (Russell Higham) is canvassing for 2019 and 2020 events at the moment, but bids for future events are also welcome. At the same time we are encouraging clubs to look for new non-traditional locations where Nationals or other major events could be held, and if required ONZ can provide support to a smaller club to host a major event in a new area. We welcome multi-club bids to run events also. As always, I’m happy to talk to clubs about ONZ policy and strategy, and I’m keen to get your feedback and ideas so we can support clubs better. G2 – Sports Anti-Doping – reconfirmed with no changes. The 2014 World Schools Selection Policy was repealed as the policy had lapsed and the selection criteria was included in the updated G1 – Selection Criteria Appendix which was updated in March 2017. The points and other information on how the teams will be determined are being integrated into the Rules Review project as the Council recognised this information is needed in the same place as all other competition rules and points. Feedback on D6 to be sent to gm@orienteering.org.nz by 17 August 2018. 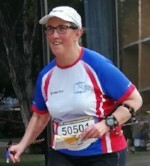 Alison has orienteered for nearly 20 years, and is currently Secretary for Auckland Orienteering Club. She mostly enjoys planning courses, but when required will also control or coordinate events, do a bit of mapping, operate the tech stuff and coach juniors. Specific interests while on Council will include strategic development of junior orienteering in NZ, growing and promoting orienteering as a sport for life, and organisational good practice. Outside of orienteering (is there such a thing? ), Alison works as a freelance medical/scientific writer, and also tramps with her family (when they’re not orienteering) and occasionally enters trail running races to torture herself. 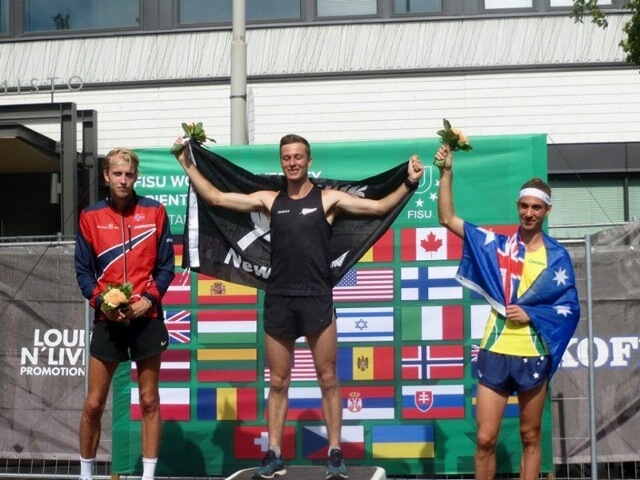 In terms of international results July 2018 has probably been the most successful month ever for New Zealand orienteering – 6 gold medals, 2 silver and one bronze! 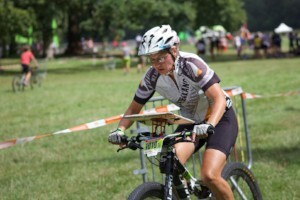 Although pride of place must go to Tim Robertson’s sprint victory at the World University Championships, Marquita Gelderman’s four (4) golds in W50 at the World Masters MTBO Championships is a phenomenal achievement. Marquita also had 2 top 10 finishes at the foot-O masters where Gillian Ingham was the other gold medallist in the W60 sprint. Not to be forgotten also are Rob Garden’s silvers and bronze, also at the MTBO. There have been some excellent perfoormances too, although no medals, at JWOC. Joseph Lynch has continued in the tradition of Tim and Tommy Hayes with a 15th pace in the sprint, while Lara Molloy’s 31st in the long distance was also a fabulous result. Perhaps the best run of the week, however, was Lara’s in the relay where on the last leg she pulled NZL up from the mid-30’s to the top 20, finishing with a faster leg time than many of the top runners from earlier in the week, including double gold medallist Simona Aebersold of Switzerland. Now, of course, we look forward to WOC in the first week of August where, on current form, NZL may have realistic chances of top 20 finishes in perhaps as many as 5 of the races. We shall see. ONZ is still looking for expressions of interest from clubs for 2019 who are keen and are able to host these national and long weekend events in an attempt to ensure the events are the best they can be for competitors and clubs alike. We are keen to see clubs wanting to host events rather than feeling obliged to hold them and not enjoying the experience. Note – Waitangi Day and ANZAC day are midweek these years so there are no official long weekend events for 2019. If you have updated event information please contact Russell Higham events@orienteering.org.nz. The 2017 Active NZ participation survey has been published. This is the fourth time Sport NZ has carried out a nationwide participation survey. However, it is the first time since 2011 that we have reported young people’s participation and the very first time we have surveyed young people and adults together. The results in this report are based on data collected through the Active NZ survey between 5 January 2017 and 4 January 2018 from 6,004 young people (aged 5–17) and 27,038 adults (aged 18+). On average, there is no difference in the percentage of males and females who are active in any given week, however males spend more time participating and females are more likely to want to participate more. Maori and Pacific adults have lower than average weekly participation, however young Maori spend the most time participating in any given week.